During a visit to Beijing this July, I visited the former home of Soong Qing-ling （宋庆龄故居）on the eastern side of Houhai Lake, not far from the Forbidden City. 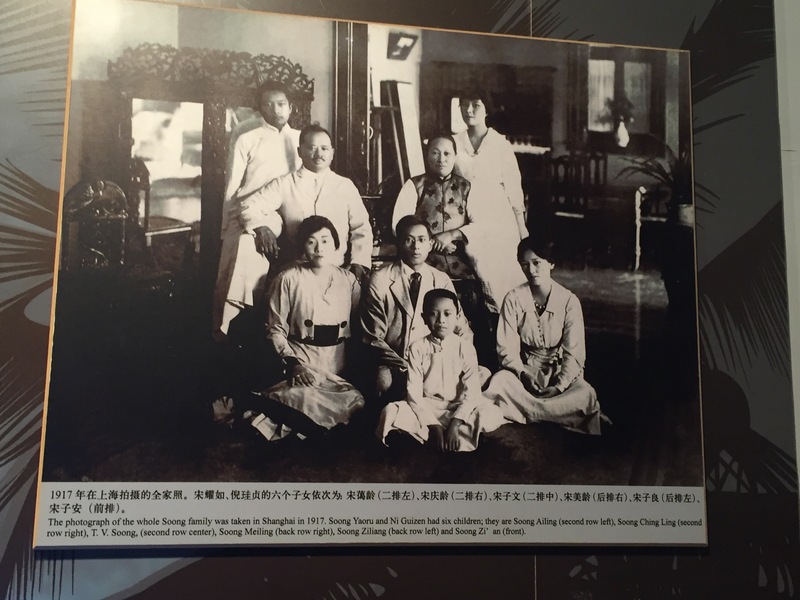 Soong Qing-ling was one of three sisters of a wealthy Chinese banker, ‘Charlie’ Soong, all of whom married famous Chinese politicians. Qing-ling married Sun Yat-sen, who led the Qinghai Revolution against the Qing Dynasty in 1911 and founded the Republic of China. Her younger sister Soong Mei-ling married Chiang Kai-shek and later became known to the world as ‘Madame Chang Kai-shek’. Qing-ling’s older sister Soong Ai-ling married H. H. Kung, who was reputed to be ‘the richest man in China’ during the early 20th century and played an important role in the Nationalist Chinese government of Chiang Kai-shek. All three sisters studied at Wesleyan College in the United States and were fluent English speakers. Madame Chiang Kai-shek was a familiar figure to those of us who grew up during the 1950s and 60s. 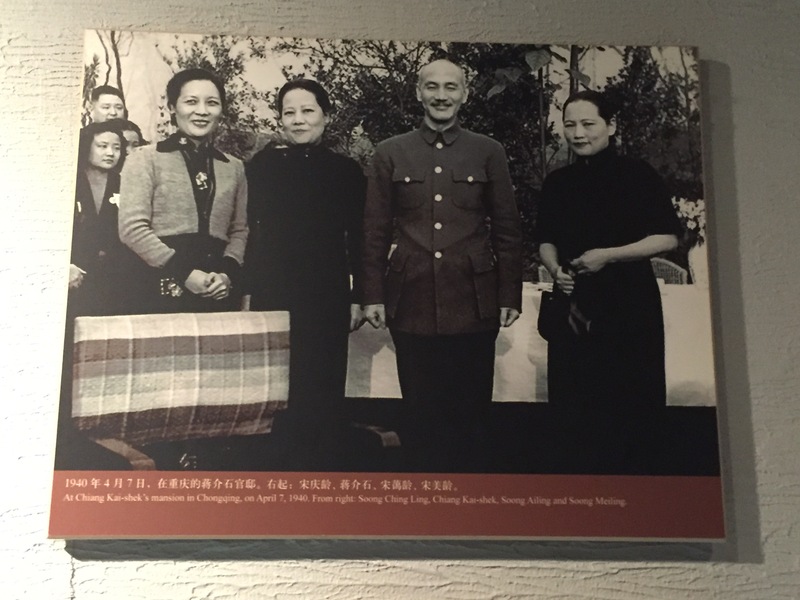 As the wife of Chiang Kai-shek, who fled mainland China in 1949 for Taiwan, she was frequently in the news. However, I did not realise before I visited Beijing that her sisters had also married Chinese politicians and, in the case of Qing-ling, had played an important role in the government of the present day People’s Republic of China. This came as a surprise to me because of the longstanding enmity between the Nationalists and the Communists. Chairman Mao apparently felt that Qing-ling represented an important link between the Communist regime and Sun Yat-sen’s 1911 revolution. 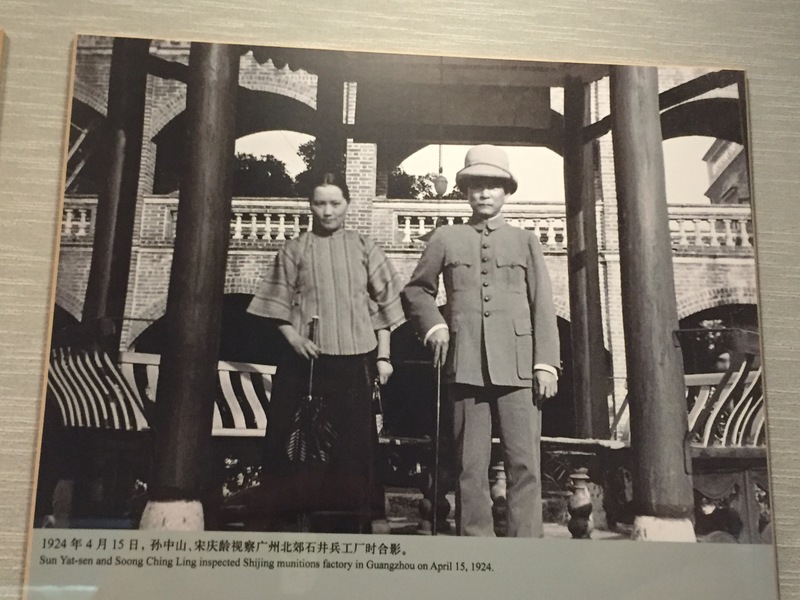 This was despite the fact Sun Yat-sen died in 1925, 10 years after he married Qing-ling (he was 26 years her senior), and also despite Qing-ling’s family connection with Chiang Kai-shek. Qing-ling as a result played various roles in the People’s Republic over many years. According to the Wikipedia entry describing her life, she was heavily criticised during the Cultural Revolution, but was later rehabilitated and named Honorary Chairwoman of the People’s Republic of China while on her deathbed. 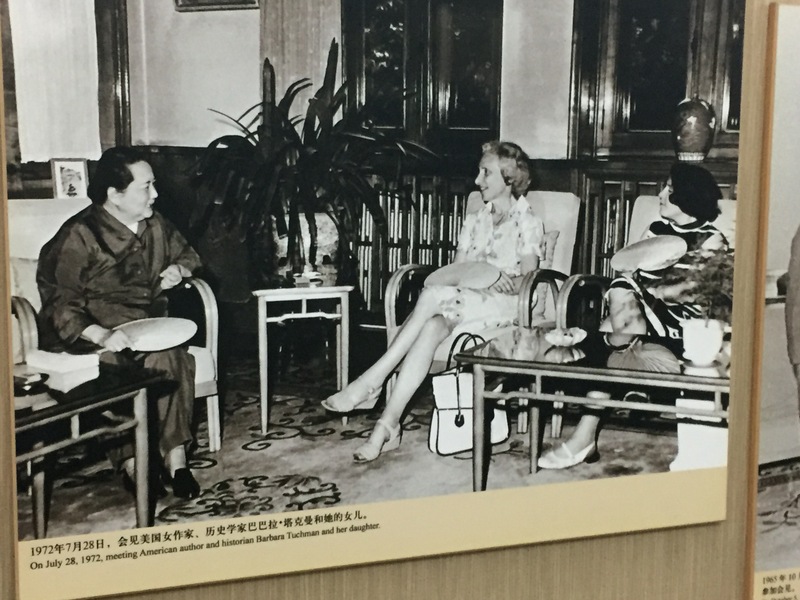 It appears that one of her roles was to receive prominent Western visitors – one of these (see the photo below) was the American historian Barbara Tuchman. Qing-ling lived in the home in Beijing which is now a museum from 1963 until her death in 1981. I was surprised by the size of the house when I visited, and in particular the extensive grounds surrounding it. The outside of the house is certainly impressive, but the interior seemed somewhat ‘office like’. However, the house (as well as a museum annex) does contain many fascinating photographs, some of which I have included in this post. Qing-ling’s bedroom, in which she died, has been kept as it was at that time. The day after I visited Soong Qing-ling’s home in Beijing, I visited the National Art Museum of China, also in Beijing. 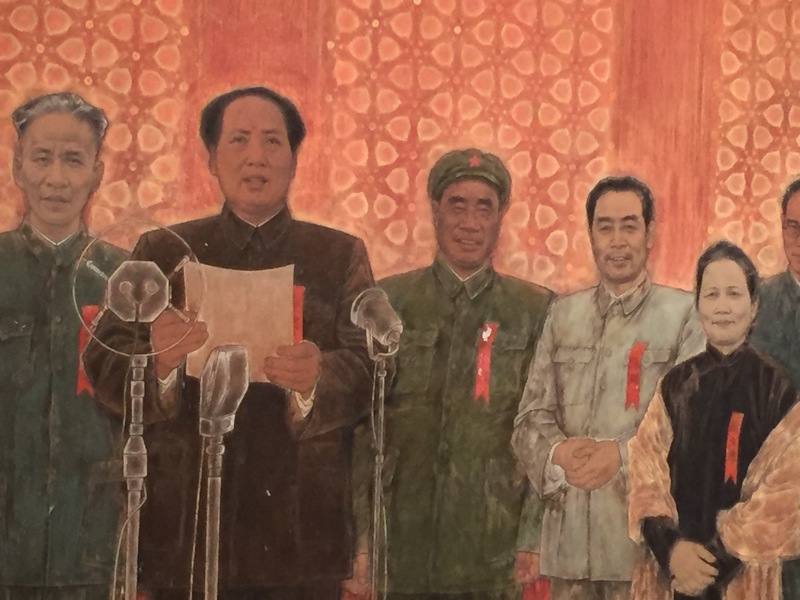 The entire ground floor of the Museum was occupied by an exhibition of paintings celebrating the 95th anniversary of the founding of the Chinese Communist Party. 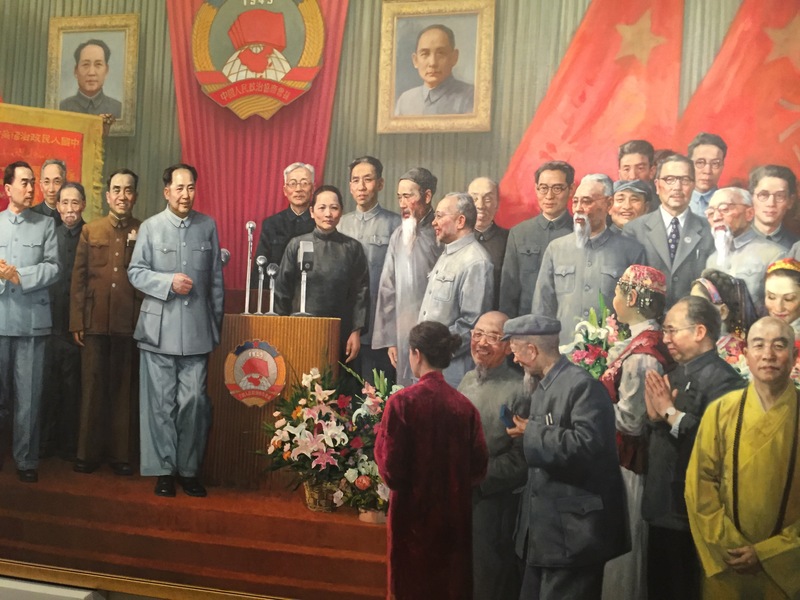 I was surprised to find that Qing-ling appeared in a number of these paintings, always occupying a prominent position close to Chairman Mao. Soong Qing-ling’s former home is one of many former residences of Chinese political figures and authors that have been turned into museums. I understand there is also a museum devoted to Soong Qing-ling in Shanghai, where she also lived for many years. I have visited a number of them and would highly recommend them to visitors. They can be difficult to find, especially if you use public transport to reach them as I did, but they all contain fascinating photographs and mementoes of people who have been important figures in Chinese history and culture.